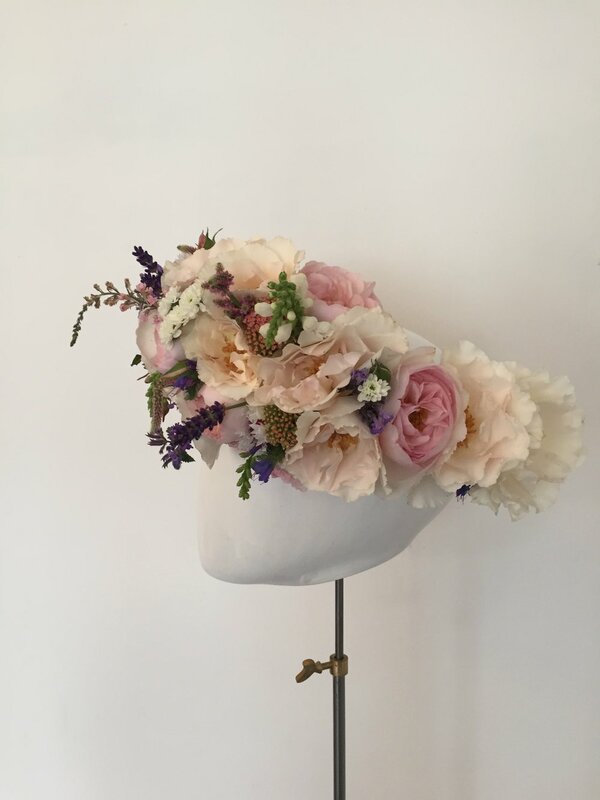 Here is an example of one of my fresh flower crowns, perfect for a bride or bridesmaid. This piece was created as a bespoke order for Brides Magazine. The roses are all scented and from the Real Flower company and mixed with seasonal British wild flowers.